Clos de la Roche (16.90 ha) is one of the four Grands Crus of Morey-St Denis, noted for the structure and density of its wines which can be austere in youth. 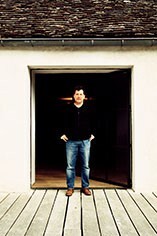 Olivier Bernstein’s grapes come from 50-year-old vines. This wine never displays the deeper colours, but the lighter purple hue is clear and pure. There is a lovely sensual quality to the nose with real finesse. 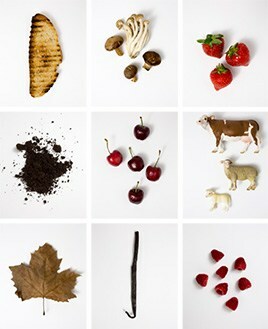 Morello cherry is the nearest fruit. A beautiful mouthful of velvet fruit leads through to a finely structured finish. This is a gentle giant of a wine. The wines of Burgundy – perhaps more than any other region – are a product both of place but also of people. With individual vineyard plots often split amongst countless producers, the terroir expressed in a wine can be unusually specific; equally the style of the winemaker can be readily discerned when tasted against his neighbours. 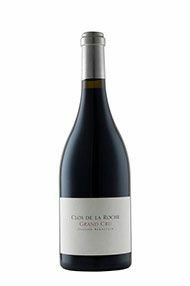 The Wine Advocate - The 2012 Clos de la Roche Grand Cru has more fruite on the nose compared to the Clos de Vougeot: brambly red berries, bergamot and tealeaf all with fine delineation. The palate is medium-bodied with supple tannins on the entry. The acidity here is well judged and there is palpable sense of energy, of frisson towards the finish. Tightly coiled at the moment, this grand cru deserves several years in bottle. Burghound - There is enough reduction present to push the fruit to the background. While there is excellent size, weight and richness to the middle weight flavors, the mouth feel is relatively refined thanks to the fine grain of the tannins. The highly persistent finish is both well-balanced and impressively complex while displaying focused power and plenty of punch. I quite like this as it's fashioned more in the style of a gymnast than a body builder. Jancis - 55-60% whole bunch, 100% new oak. Dark crimson. Very exotic candified fruit on the nose. Heady, liquoreux. A bit livelier and lighter than some – very good energy. Though with a spine that drives it. Just a bit too drying on the end for the moment.